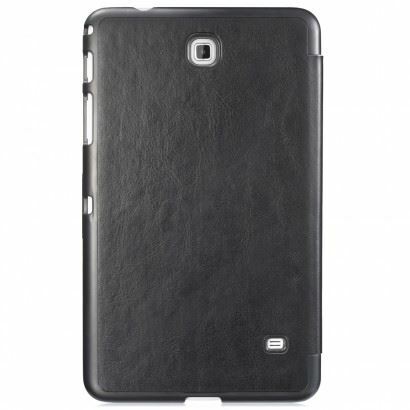 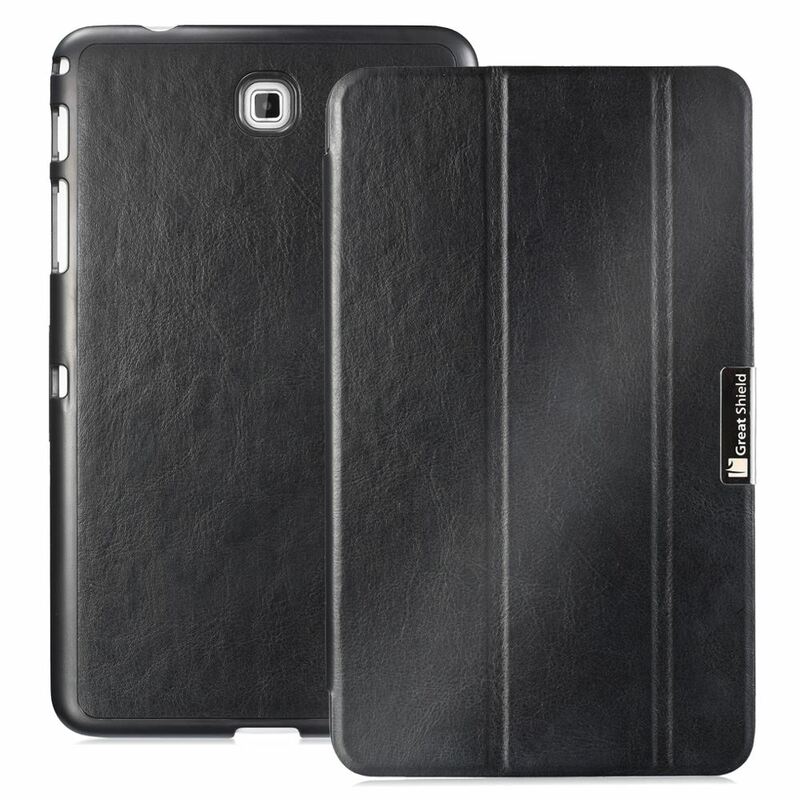 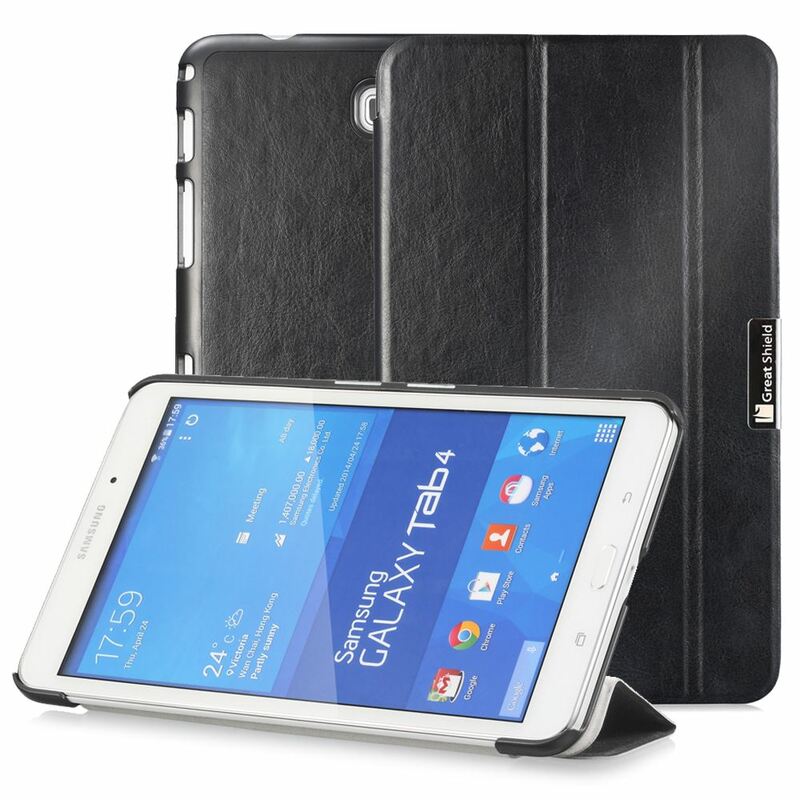 The ultra slim polyurethane (PU) synthetic leather protects your Samsung Galaxy Tab 4 8.0 from unwanted scratches and blemishes with minimal bulk. 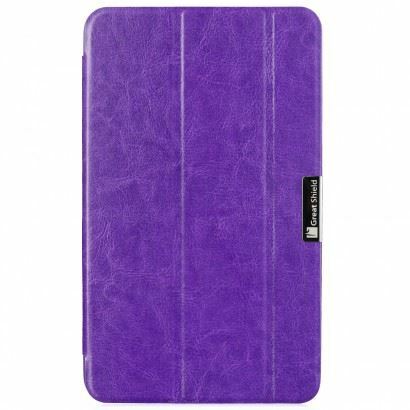 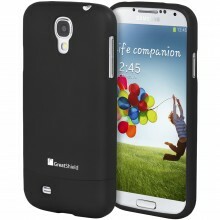 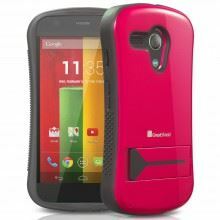 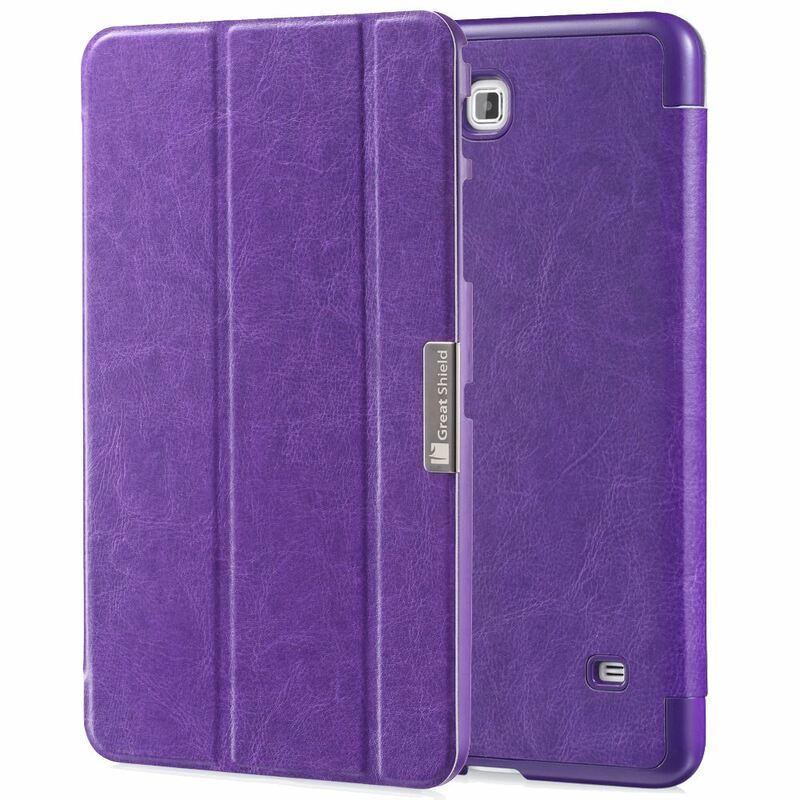 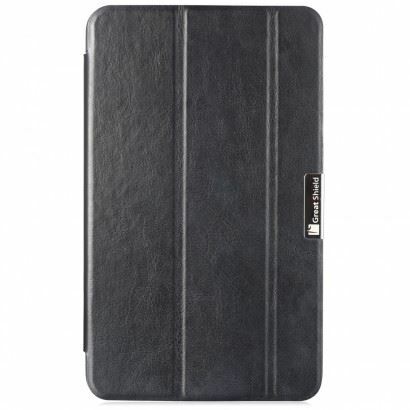 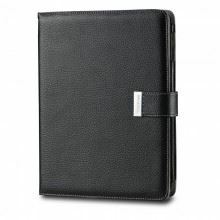 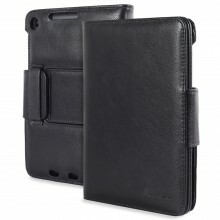 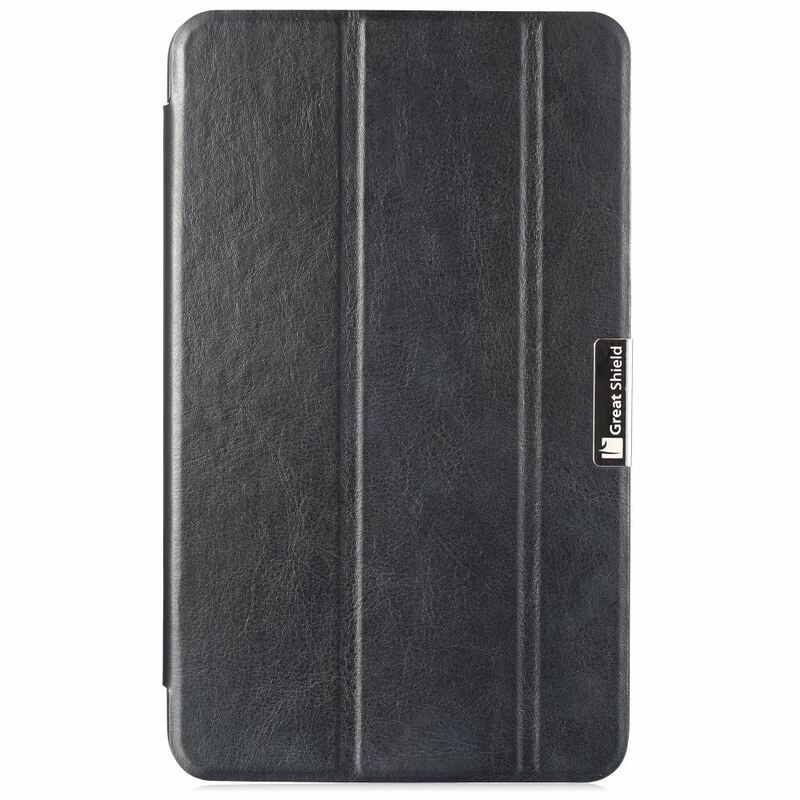 Your device fits securely onto the snap-on hard shell of the leather case. 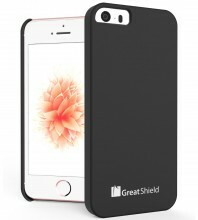 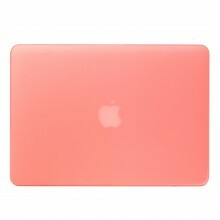 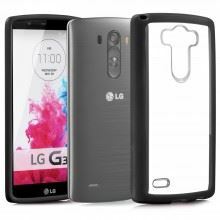 GreatShield SLEEK features a leathered polycarbonate (PC) snap-on hard shell with soft interior lining that doubles the protection compared to regular leather case. 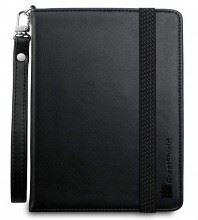 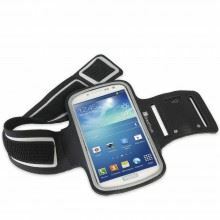 The GreatShield SLEEK case comes with sleep wake function which automatically wakes up the device when the flap is opened and puts the device to sleep when closed. 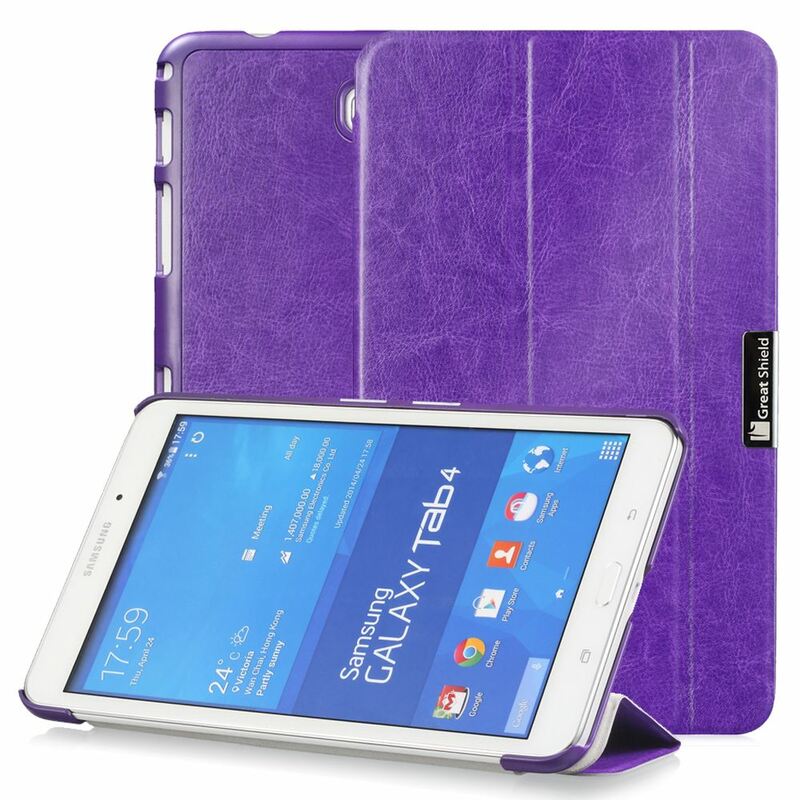 This smart feature preserves the battery life of your Samsung Galaxy Tab 4 8.0. 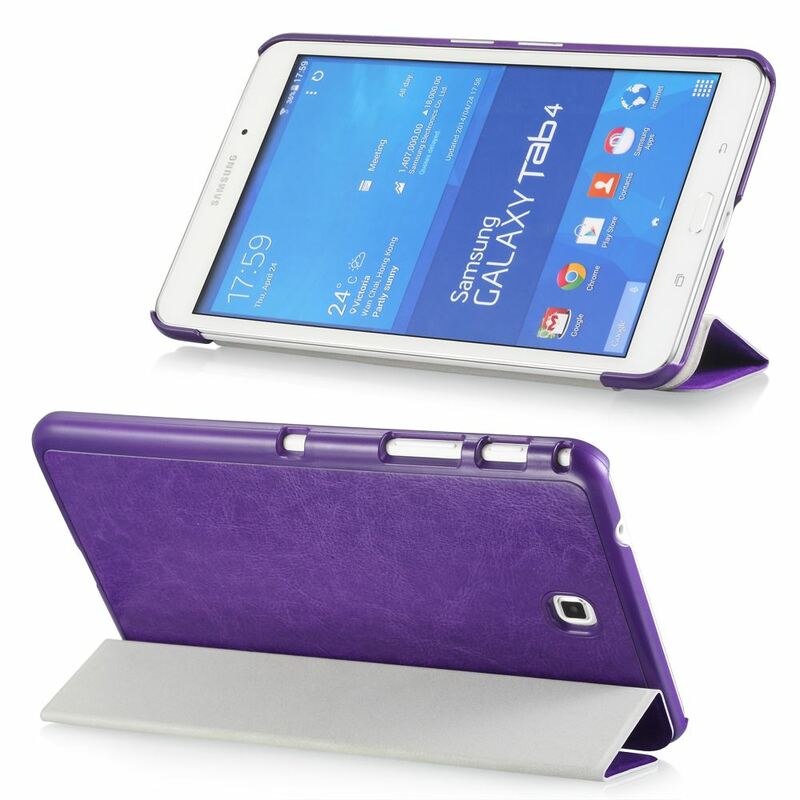 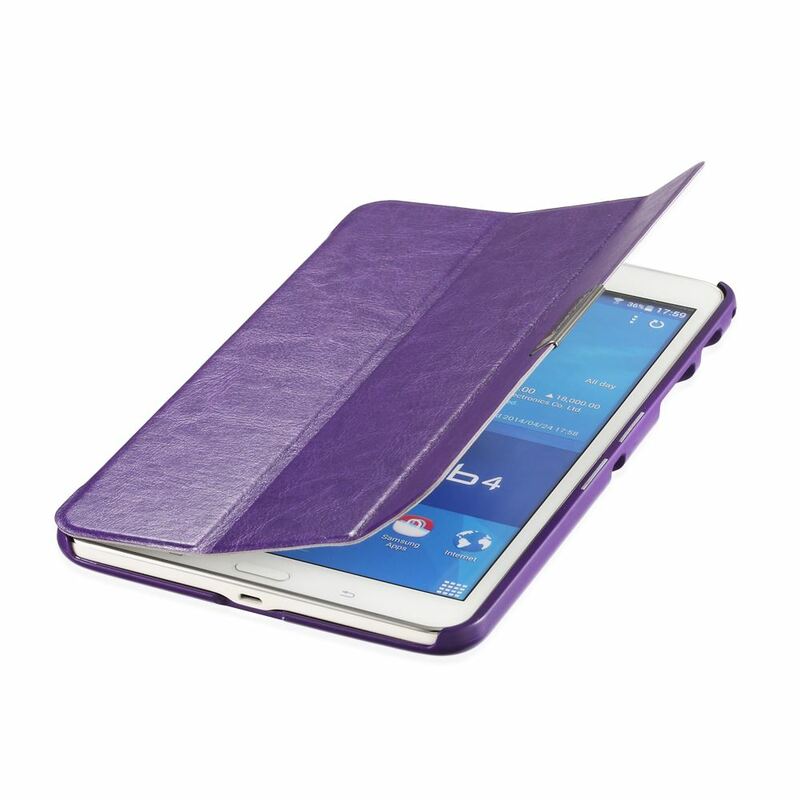 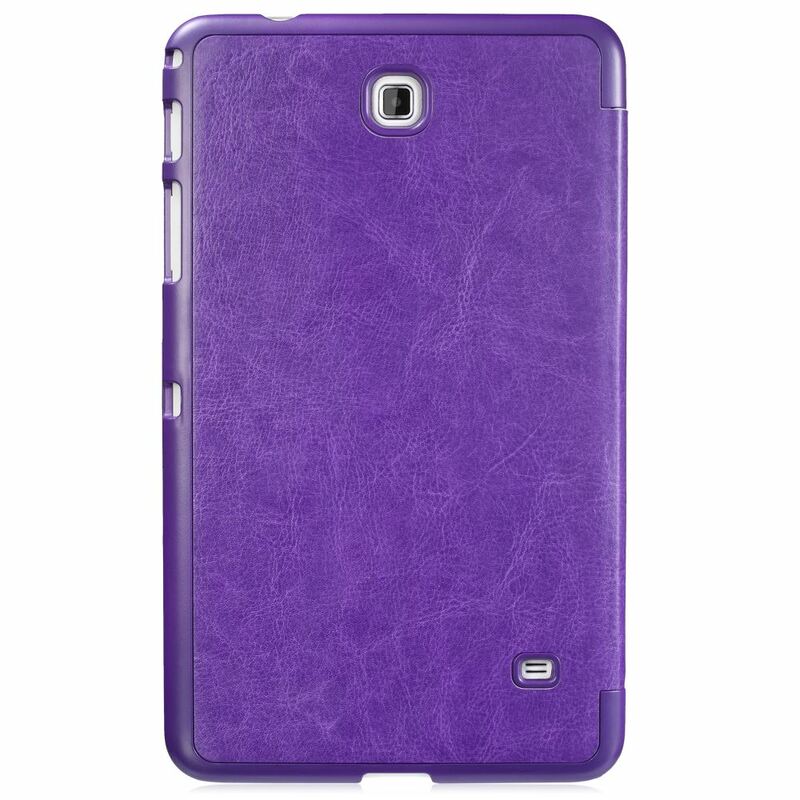 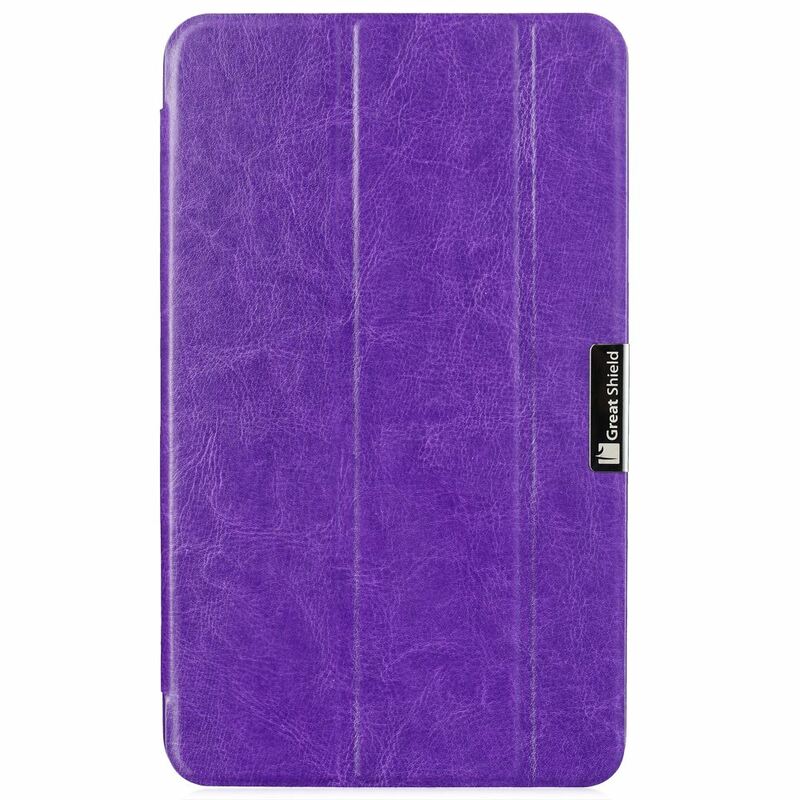 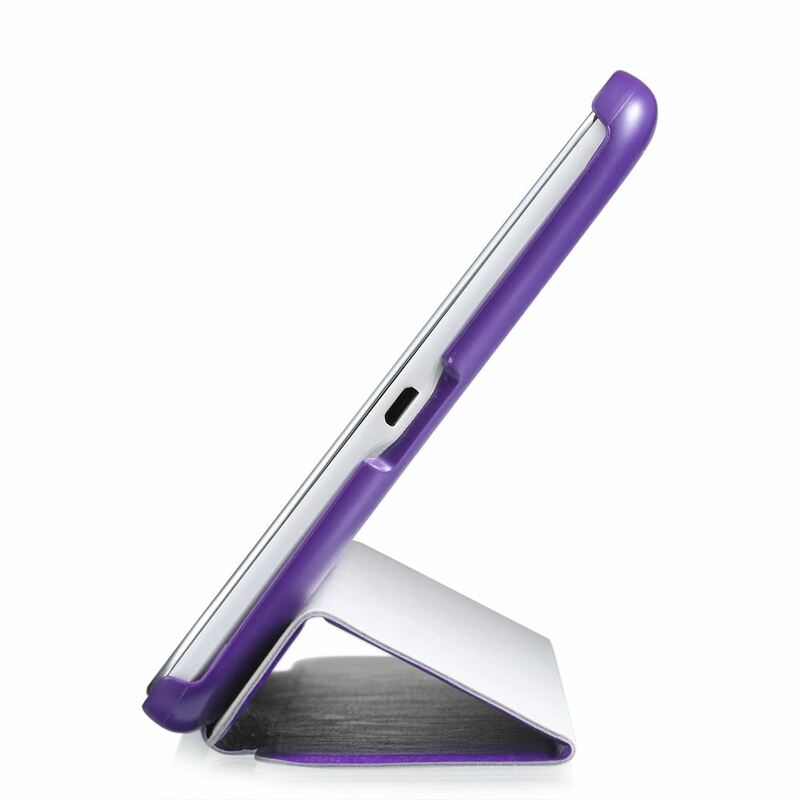 The flap cover of the case folds easily and converts into a kickstand giving you the convenience to view media on your Samsung Galaxy Tab 4 8.0 without having to hold the tablet. With soft microfiber interior, GreatShield SLEEK provides a soft cushion to your Samsung Galaxy Tab 4 8.0 while protecting your screen from unwanted scratches. 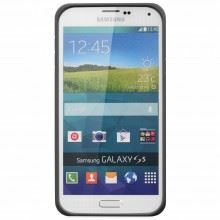 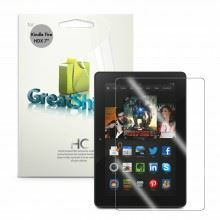 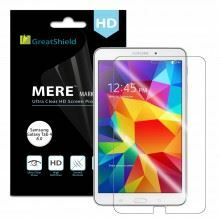 GreatShield SLEEK is designed with precision cut-outs to suit the Samsung Galaxy Tab 4 8.0 and gives it an effortless access to all ports, buttons, and features.